Aspyr Media announced today that the Switch version of Observer will launch for Switch via the Nintendo eShop on February 7 for $29.99. Observer is a detective thriller set in 2084 where players will have to hack into the twisted minds of criminals and their victims as you traverse a surreal landscape, uncovering meaning behind imagery. It also features a genre-defining gameplay in an unsettling, dark dystopian future. Fans who love games like L.A. Noire will find this game to their liking. The game was first launched for Xbox One, PC, and Mac sometime in August 2017. If you haven’t had a chance to pick it up on consoles, now is the time to get it as you can play it on-the-go. 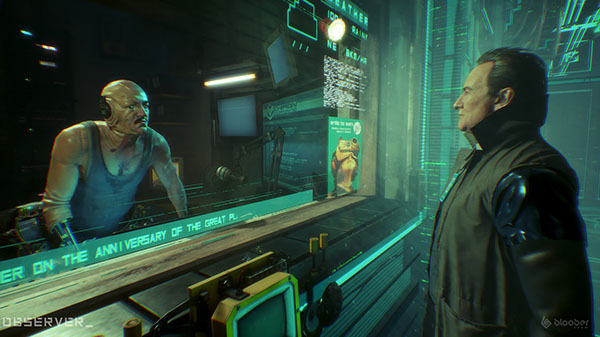 Observer is available now for PlayStation 4, Xbox One, and Mac. The Switch version via the Nintendo eShop will be available on February 7, 2019 and will retail at $29.99.